Includes jacket with attached shirt, trousers, tie and hat. 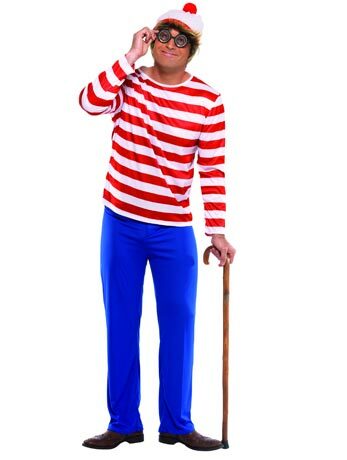 Where\'s Wally top, trousers and bobble hat. 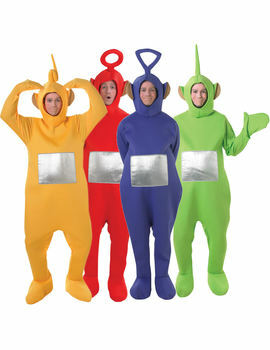 Set of four Teletubbies costumes. 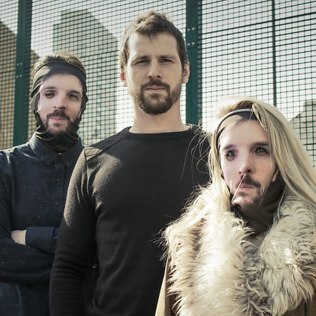 The Jokes On You includes a latex skull mask, headpiece, collar, a shirt, trousers and waist tie. Includes quilted look jumpsuit with zip-up overalls, matching gloves and helmet with dark visor. Includes Snow White dress, collar and hair ribbon. Three 18ml pots of Snazaroo makeup in bright red, white and royal blue. Includes gorilla suit, cage, harness and fake knee inserts. Includes muscle chest with attached collar and cuffs. One-piece Checked Morphsuit Lycra bodysuit. 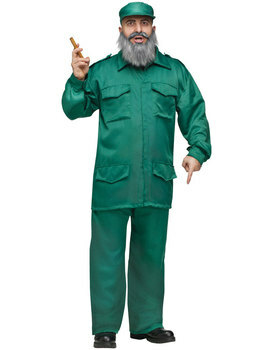 Includes shirt, trousers, Kepi hat and beard. Includes dungarees, brown muscle chest, necklace and wig.